Once you start working with your 3-axis CNC system, you’ll quickly learn the importance of the X,Y, and Z placement of your cutting tool. Basically, its pretty easy to establish your start point in the X and Y axis, (the position on the work space), all you have to do is make sure your tool path is setup to the proper size for your job and that during transit, the cutting tool won’t run into anything like the side frames or any clamping devices. But for the Z axis, (the tool depth position), that’s a whole other discussion. In a nutshell, you have to tell your CNC how thick the material is so you can enter the data for the proper depth of cut. After you “Home” all three axis, you bring the spindle to the desired job start position, but before you hit the “Zero All” button, you’ll need to bring the tool bit down until it just barely touches the top of your job material. Typically you do this manually by lowering the Z-axis and placing a piece of paper on top of the material. The paper acts as a gauge so as you lower the tool, (after selecting a very slow plunge feed rate), you move the paper back and forth until you can feel the tool bit just contacting the paper. This is very time consuming and really isn’t the best for accuracy. 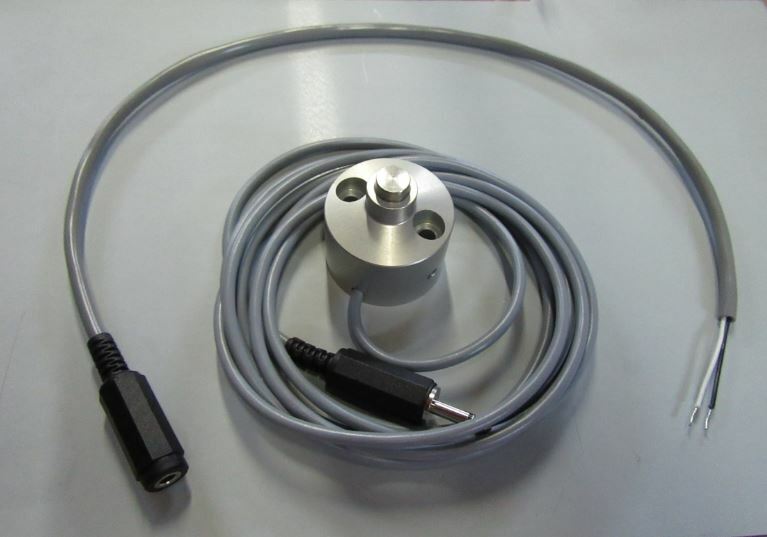 Stepcraft offers a Tool Length Sensor which you can order from their website. It greatly improves the whole tool depth setup process. Also, instructions are available for installing the sensor and to make the required wiring connections, of which there are only two! Start by placing the CNC on its side then remove the bottom cover plate to expose the control board. The sensor cable is inserted into a hole in the rear end plate and you bring the two wire ends around to top of the board. 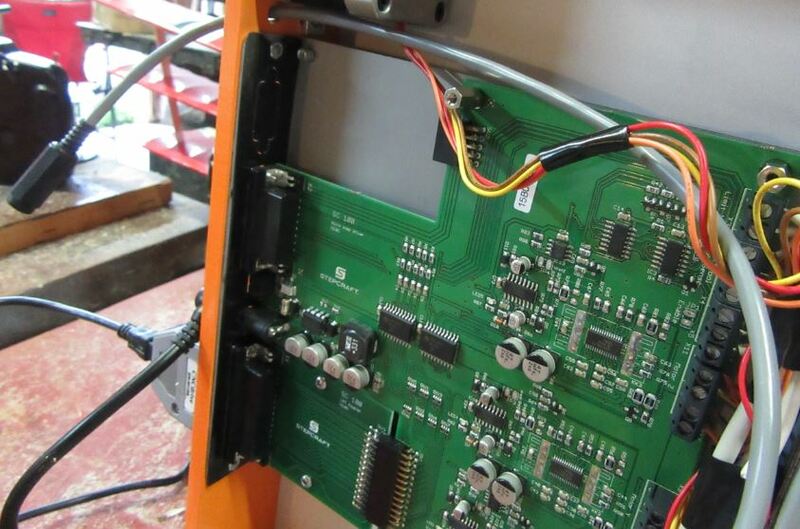 (Above) Here the sensor cord has been inserted through the hole in CNC’s the back plate. All the various stepping motor power wires and the wires for the limit stop switches are installed in the power bus on the right side of the board. There are only two open connectors left and the two wires from the sensor cable go there. (See at the right that the black and white wires are secured to the power bus connectors). Since the sensor is basically another limit stop switch, it doesn’t matter which wire goes into which connector. Just make sure they are snug and tightly inserted. 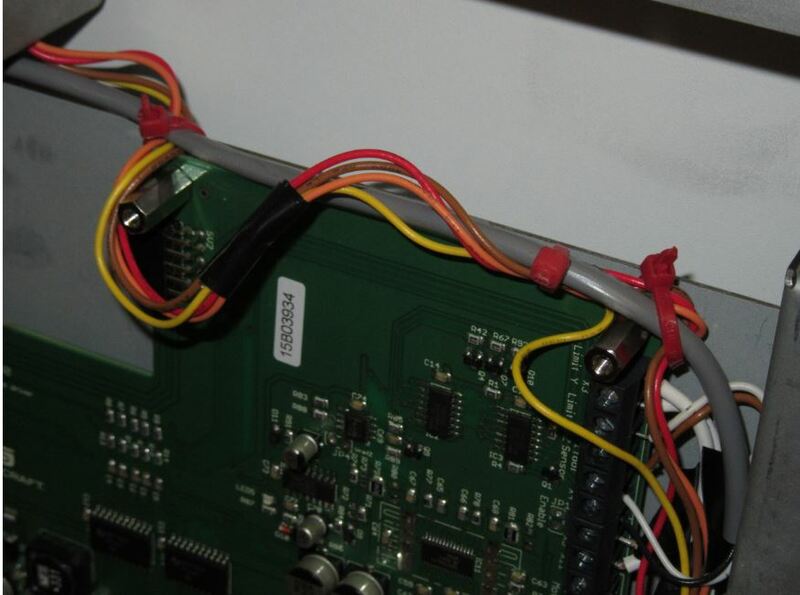 The next thing to do is to secure the cord with a couple of cable ties so the wire connections are free of any stress. I secured the cord to the the board’s standoffs and snipped the tails off. I also added another cable tie to the cord right where it exits the back plate. This helps prevent it from being pulled out. Once this is all done, just reinstall the cover plate and the hardware part of the installation is done. 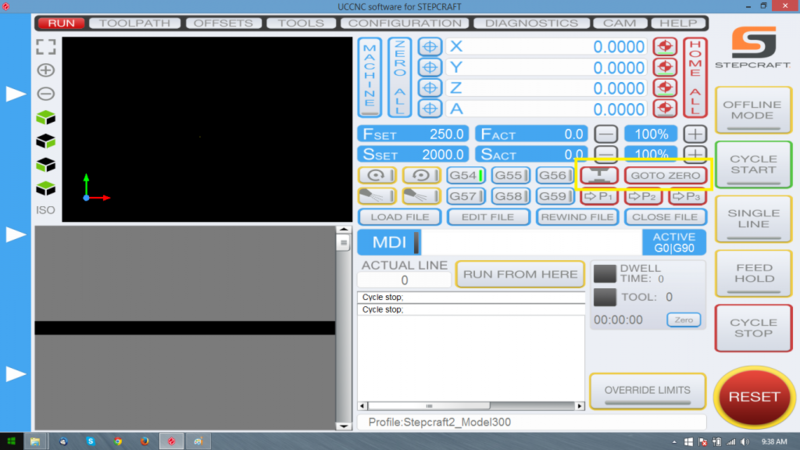 The next part is to download the new program needed to control the operation of the tool length sensor. Go to the stepcraft.us website and then, under the Support tab, click on the FAQs. Here you will find a list of several Q&As including one that is for Installing and Setting up the Tool Length Sensor. 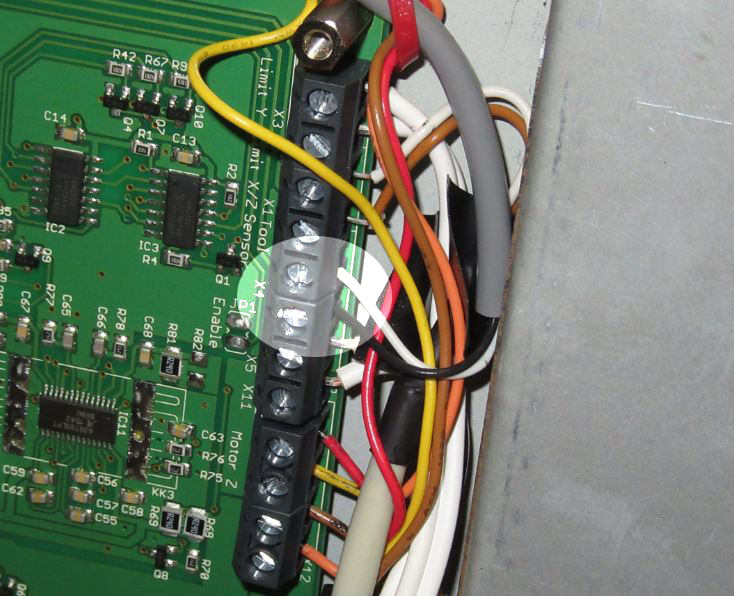 This page has all the information needed to install the sensor and spells out the procedure. It also has a link for the new Macro (M31) that needs to be downloaded and copied into your CNC’s program folder, (in your PC’s operating system). The instructions are very clear and guides you step by step from start to finish. 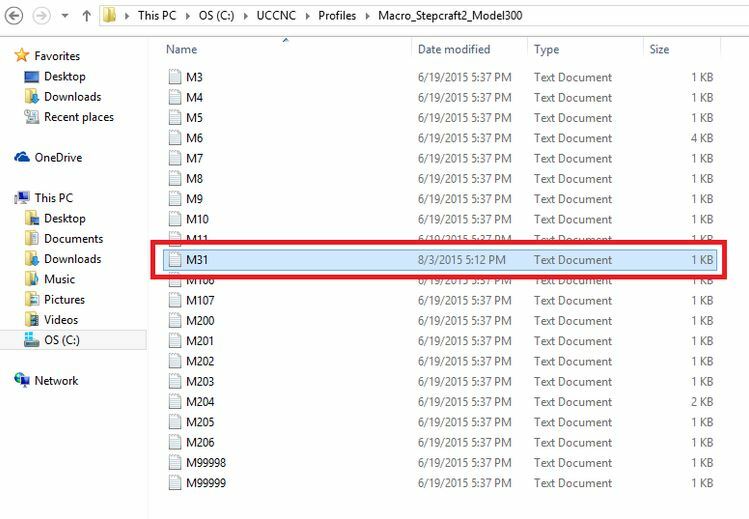 Shown here is the PC’s macro folder with the required .txt file (highlighted), that needs to be replaced. 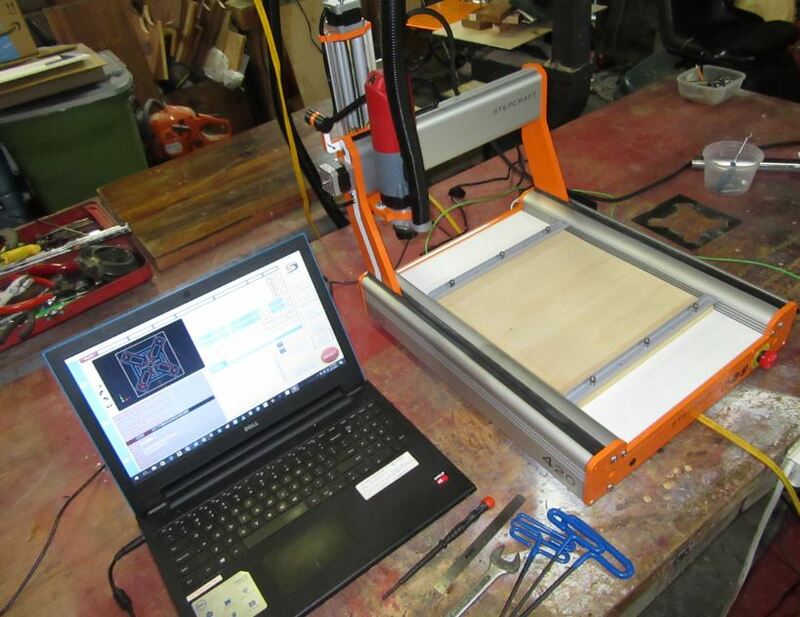 Depending on when you purchased your Stepcraft CNC, some of the files may be outdated and so, you can now download a newer CNC operating program that includes all of the needed files for your CNC system to work properly without having to do any of the Macro file downloading and replacement. This was the case for my system, so all I had to do was call Customer Service and they quickly had me downloading the new operating program and guided me during the installation. Very cool! So to use to the tool depth sensor, all you have to do is install the tool bit you are going to use, and “Home” all the axis using the Red “Home All” button. Load your work tool path file then move the tool bit to the required job start position. Place the job material on the work space and secure it in place with the clamp bars. Once this has been done, hit the Blue “Zero All” button then place the sensor under the tool bit. Now press the tool length sensor icon button which is shown in the yellow highlighted box. (See at left). 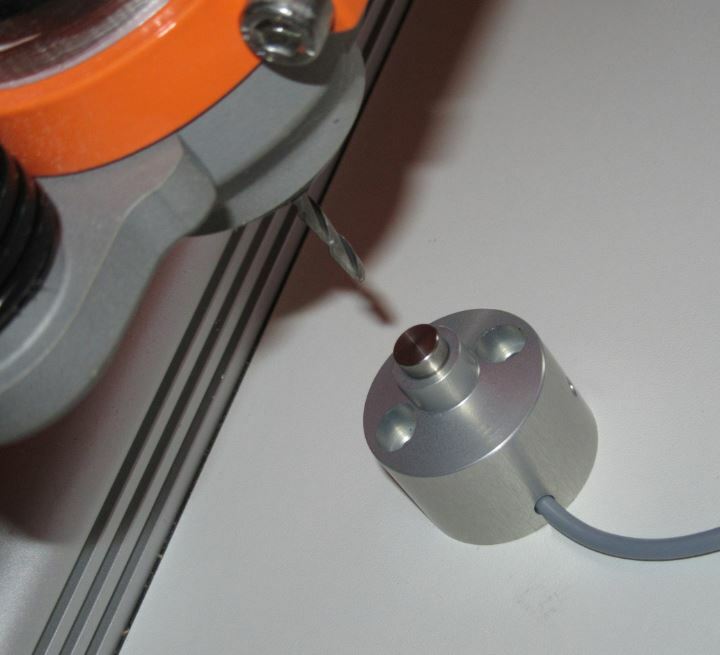 Shown here is the sensor placed directly under the tool bit, on the work space for the test. Once your hit the tool sensor icon button, the Z-Axis will lower the tool until it comes in contact with the sensor’s top button. The tool will then retract upward slightly and will lower again at a much slower rate until it contacts the sensor button once again. Once this is done, the tool bracket retracts so the tool bit and spindle are at the idle position. Now hit the “Go to Zero” button to the right of the tool sensor icon button. The spindle with then lower the bit until it is just above the work piece. Hit the “Z Zero” button. The CNC system now know exactly where the tool bit is relative to the top of your job material, and you can now start up the spindle motor and run your tool path file. Compare to the feeler gauge paper routine, using the tool length sensor is much more accurate and a whole lot quicker when it comes to setting up the Z-axis tool starting point. If you buy nothing else for your CNC system, this accessory is an absolute must-have investment. I highly recommend it. The tool length sensor is also a required item should you want to install a multiple tool holder / automatic tool changer to your system. Since each of the various tools will have different tool depths, the sensor is indispensable for proper tool setup.